Look Inside Sensory Learning & Play C.I.C. Childrens Play Centre Nottingham | Look Inside Sensory Learning & Play C.I.C. 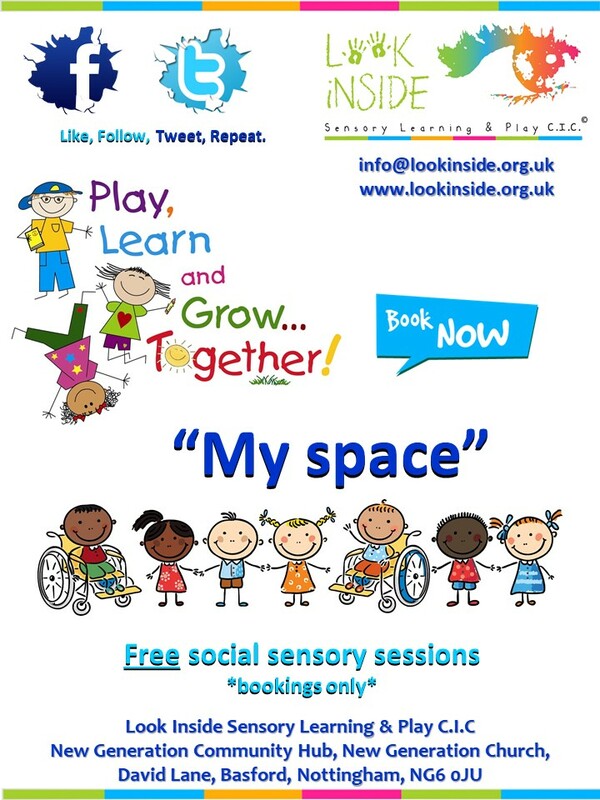 provide a safe, stimulating environment for all children, including those with additional learning needs.. Please note that due to ongoing necessary refurbishments to our Sensory Room, the facility will be closed until further notice. We apologise for any inconvenience caused. Please watch this space for updates and news about this exciting development. Look Inside Sensory Learning & Play C.I.C. provide a safe, stimulating environment for all children, including those with additional learning needs. The children will play and develop new skills through sensory equipment, free play and structured play sessions. Pre-school benefit from fun sessions and free play which include; stay & play, applied group theraplay approach and parent toddler sessions. Children and young people aged 6-25 benefit from focused support, such as; mentoring, applied theraplay principals, behavioural strategies and counselling. Communities gain advice and support for; budgeting, parenting, family mediation/counselling and social boundaries groups. Whilst the service will also offer luxurious beauty treatments through our mobile Salon to help you to de-stress and relax; we are at the heart of the community providing a hub of much needed services. We now offer Short Break Services for children & young people with a disability who are unable to access universal services. 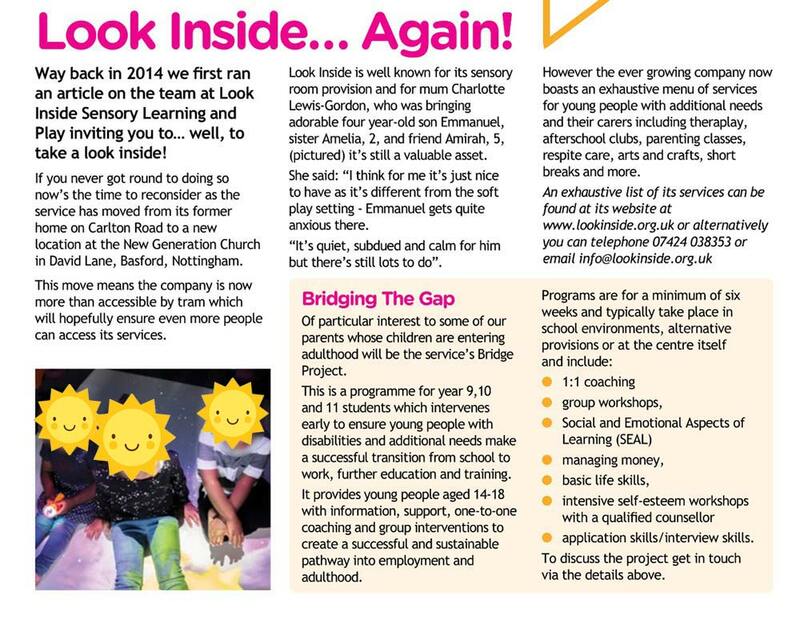 Our new address is New Generation Community Hub, New Generation Church, David Lane, Basford, Nottingham, NG6 0JU. We are closed on Mondays and Tuesdays during the School Holidays.